1829-1891. Edwin Long was a highly successful Victorian artist. He started out following his teacher, John Phillip, by painting Spanish genre subjects. His painting, La Valenciana, is an example of this early style. The title means the woman of Valencia. Later in his career, he specialised in large scale biblical and historical paintings, often with an Egyptian theme. 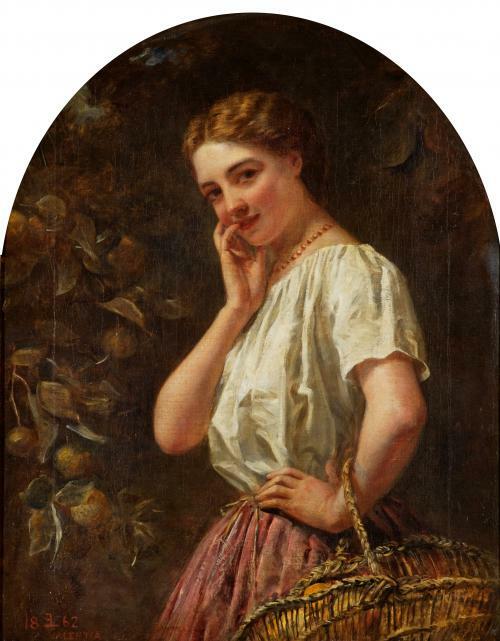 This type of painting was very popular with the Victorian public. One of his paintings broke a saleroom record in 1882 by selling at 6,300 guineas, the highest price ever for a living artist. 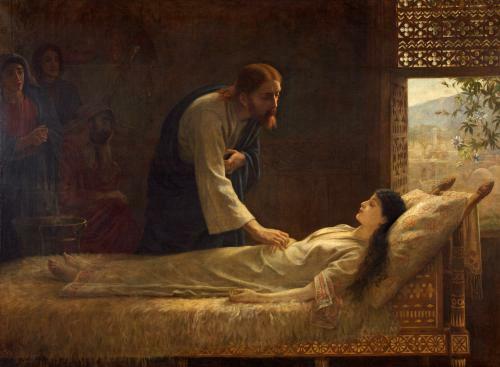 The second of his paintings in the Collection, The Raising of Jairus’ Daughter, is an example of this later style, and shows Long’s archaeologically accurate attention to detail. It depicts a scene from the Bible when Jesus raised a girl from the dead.